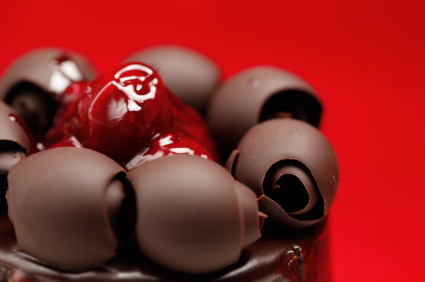 Who doesn’t like the sweetness and indulgence of chocolate! With a chocolate theme party you can’t go wrong! From the rich color combinations, to the custom candy bar wrappers, to giant chocolate fountains, a chocolate themed party is a can’t miss way to bring all of your friends together for a tasty indulgent party! With all of these chocolate options you can easily find the materials and supplies you need to throw this type of party. Many people have these items around or they can get chocolate colored clothes so it’s easy for your friends to get involved as well. 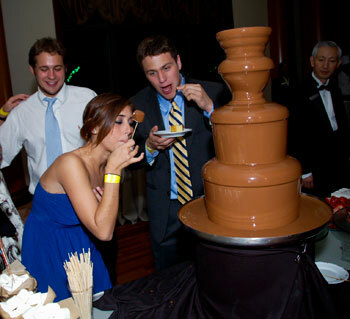 A chocolate fountain is the perfect way to start the evening. Have a mixture of items out that can be used for the chocolate fountain. Rentals can be found through searching through sites like weddingwire.com. You can also go with brownies, chocolate drinks (chocolate martinis, faux-tinis, hot chocolate), chocolate cake, chocolate bars, chocolate ice cream, etc. Having a sunday bar would be a great way to fit in all the different items to make the perfect chocolate dream sundae. Picking out the right dress or suit that fits well and looks great is important. Chocolate brown is the new black! Gray, pink, blue, teal and just about any other bold bright colors all go well with chocolate brown. Think of going with a brown dress with bold color accents, this is sure to make sure you look sharp! Chocolate brown items like hats, leis, boas can help your guests get into the ambiance of the evening more quickly. Give these items directly to your guests right as they arrive. This will help break the ice as they have something they can use for the evening. Give guests their chocolate items as soon as they arrive. Chocolate themed parties can be a lot of fun the only limit is your imagination! 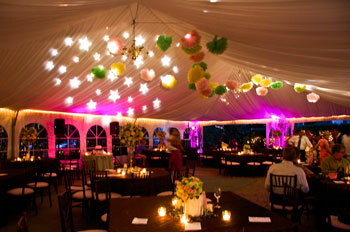 The more creative and off the wall ideas you can come up with, the more memorable the party will be for your guests. Remember that good food, music, and good friends are the key items to a successful party!